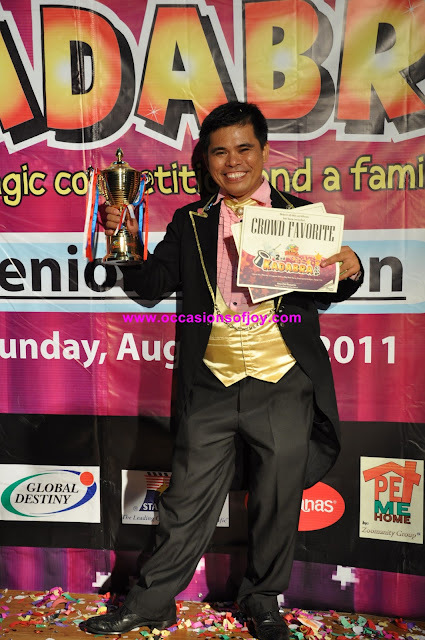 I met Jestler the Magician, Ricky Quinsay in real life, last 2 years ago when I judged Kadabra Cup . He won the title as he did money tricks, which is different from among the other magicians. Aside from that, he was so funny that even celebrity judge magicians laughed hard with his antics. We became close when I commissioned him to teach Julia and I magic for our performance in Dominican Queen and Princess Contest. I came to know more about his wondrous journey just recently when he helped Rafael for his Magic performance for Mr. Aquinas Contest. He is the eldest of 12 kids. 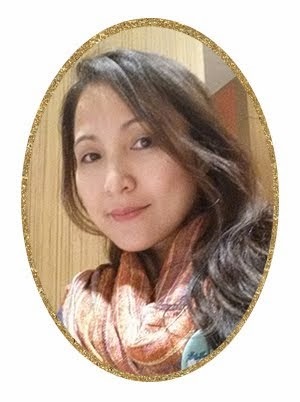 Because there were many mouths to feed, his parents had no choice but to let his aunt adopt him after graduating in Elementary to study in high school. Hoping for a brighter tomorrow, Kuya Ricky lived with his aunt. Little did he know that in exchange for board, lodging and schooling he was to become a house help. He did all the household chores, including feeding 12 cats and 6 dogs. Although he did all those chores, he felt bad at his current situation so when he graduated in High School he went back to his family in Cavite and worked as garbage collector, then as scrapper in Philips, and finally becoming messenger for 9 years in Manila Yacht Club. From 1998 to 2000 he was paralyzed and had no choice but to quit his job. Then he met Mark Cagas, a clown, who taught him about the business of clowning. Series of God’s pouring graces came his way year after his lonely journey . He met a wonderful woman where they used to work. Eventually they were married. Before meeting and courting Lilian, he was turned down by 17 other women he courted. Then he become a most requested magician. 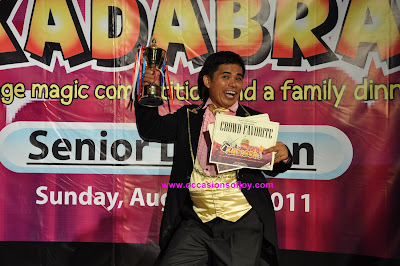 From earning P2,500 a month in the past, he now earns four times more than that in less than 3 hours as magician. Although he went through many disappointments in the past, Kuya Ricky believes that God has prepared him well. He now inspires street kids and upcoming magicians to just believe in God and do good deeds for a better tomorrow. With God's grace and love, he lives a life of bliss and blessings, along with his wife, two sons and an upcoming baby. Kuya Ricky’s alias, Jestler, is an abbreviation of Jesus The Healer. Today is his birthday. To one of the funniest and nicest person I met, Jestler - The Funny Magician, Maligayang Kaarawan! No doubt he is a funny magician, he got funny personality, funny gestures and on the top he entertains people in right way. :) He has a nice smile too! The funniest host/magician/entertainer i've met. I hired him on 2 birthday occasions and he never failed to make people laugh, young and old alike. I would hire him again on my baby's next birthday. If you do...hindi ka magsisisi. I swear!